Welcome back! We hope you've had a relaxing break and are ready to take on 2014! I have some sad news - our first challenge of 2014 is also Laurie's last challenge with us. We will miss Laurie's inspiration but we know that new and exciting opportunities lie ahead for her! And she's leaving us with a real sunny, warm and cheerful card! Oooh! 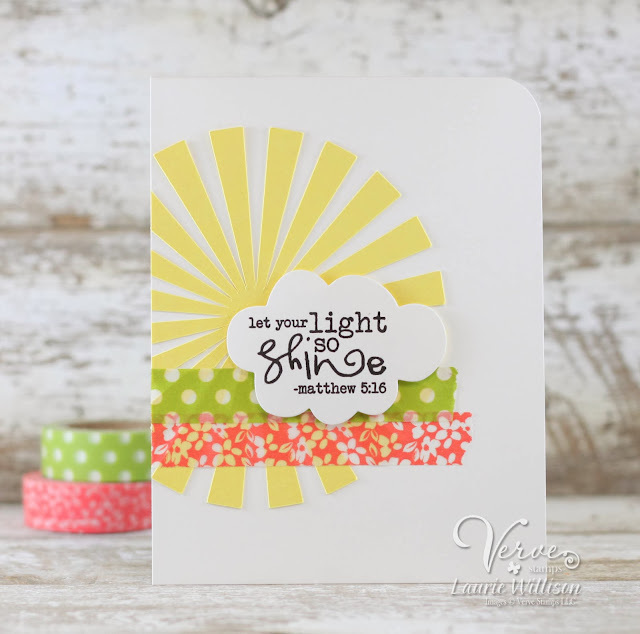 I just love this ... the design and layers and washi! Wow, what an amazing card from Laurie - absolutely stunning!